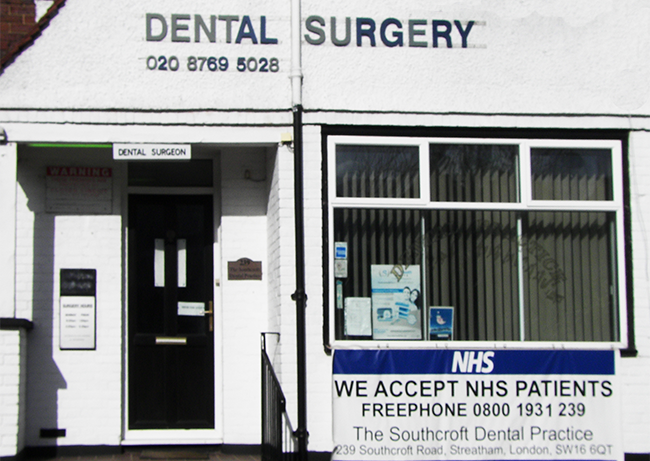 We are the Southcroft Dental Practice, a small familly friendly Dental Practice situated conveniently between Streatham, Tooting and Mitcham. We pride ourselves on being different from large practices which can sometimes be impersonal by providing a very PERSONAL service for all your dental needs. Dr. D'Souza has been at the practice for almost 25 years; in fact since the practice was opened in about 1953, there have only been 3 dentists at The Southcroft Dental Practice.